This is my tea cup. Isn't it cute?? 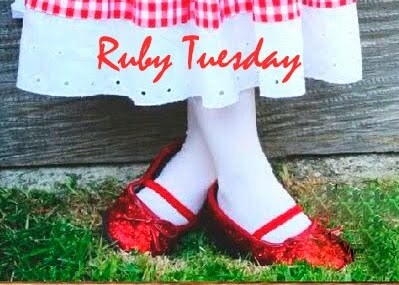 And more Ruby Red Tuesday Here. I got a smile from this one. That's one big tea cups. Very nice photo of one of my favorite candies (I like the dark chocolate with peanuts). Cute cup! I would not resist buying this cup, definitely. What a nice smile. I love it. they usually travel in packs, be careful. great macro. My macro is one of the best things in life....my grandson's teeny tiny hand at age 1. Stop by if you can, I'd love your company today. hehhehe your tea cup is really cute. A happy face to start the day! Now that is just darn cute! That would certainly start your day with a smile. what a great way to wake up with a big red smile! Very cute ! nice to see a smile with the first cup of tea, lol ! Very cute! Of course it would make me want a little snack with my tea! looks very cute :) I like it. this guy looks familiar, beautiful! Wow..cool tea cup..so cute...definately makes you smile! Yay! aww...this is so cute! would love to have one. Love that cup...I like them big, too. Great for RT. No, no more M&M's! My hubby and kids just bought a quarter pound each: plain, crispy and peanut. I can't open the fridge without those multi-colored enticements flashing across my eyes! What a nice red tea cup. Happy RT! Great humor, great fun, great macro. The cup will keep me in a good mood and taste better. How can you not smile in the morning when you look at this mug? I like the tea bag tag hanging in front.